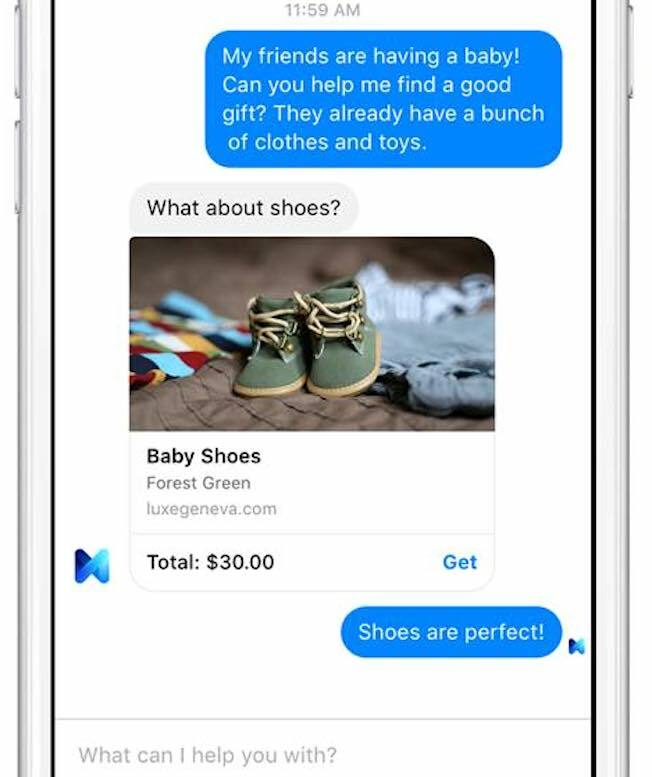 Facebook’s test release today of a digital assistant inside its Messenger app is a shot across the bow of the Internet’s biggest companies: Apple, Google, Microsoft, and Amazon.com. It’s also the latest salvo in a high-stakes battle over the ways artificial intelligence should transform the way we live and work. Facebook M is intended to allow users of Facebook Messenger to pose any query or service request in natural language and get a personalized answer immediately. The key wrinkle that sets it apart from Apple’s Siri, Google Now, and Microsoft Cortana is that there’s a team of human “trainers” who will step in when the machines aren’t quite up to the challenge. So far, it’s only available to a few hundred people in the San Francisco Bay Area, and its timing and scope are unclear. But judging from a brief post by VP of Messaging Products David Marcus, Facebook M is clearly a major bid in a quickening battle to be the virtual assistant of choice, taking on not only Siri, Google Now, and Cortana, but also a raft of upstarts such as Luka, Magic, and Operator. And in the mobile age, virtual assistants could prove to be the key product that will define which companies dominate the next decade of online services, just as search was for the past decade. “Whoever creates the intelligent assistant will be the first place people go to find things, buy things, and everything else,” former AI researcher Tim Tuttle, CEO of the voice interface firm Expect Labs, said last week. But what’s even more interesting in the bigger picture is how Facebook M plays into a longstanding, fundamental battle over how artificial intelligence should be employed–one that has recently come into sharper focus. … The upshot: Until and unless AI gets so good that machines can anticipate what we want, people will remain a key component of truly intelligent online services.